What’s New in LearnDash Group Registration 3.6.3! Home > Announcements > What’s New in Group Registration for LearnDash 3.6.3: Improved Security and User Experience! What’s New in Group Registration for LearnDash 3.6.3: Improved Security and User Experience! The LearnDash Group Registration plugin has been creating a buzz in the e-learning space for a while now. The possibility to up the course enrollment game and make LearnDash corporate training friendly is part of what the Group Registration plugin offers. As we keep on improving the plugin, we come up with updates that pack a punch, through minimal changes. This new update is pretty big – not only because of the functionality it introduces but also because it meets the two most demanded features YOU told us about! With this new version of the plugin, we’ve introduced a very important feature – one that improves the security of your LearnDash website – the member re-invite feature. What the group member re-invite feature does, is that it provides a group leader the possibility to re-invite a member of the group, forcing the member to reset his/her password. Making sure members keep their password updated leads to a more secure experience, and is a must for corporate training setups. The admin, of course, has the possibility to activate this option for group leaders. And, only those group leaders who have this capability enabled will be able to re-invite group members. A re-invited group member receives an email containing group details, their username, and a reset-password link. The LearnDash admin can customize this email template if needed. A good user experience makes every product better; and with the next feature, that’s what you get. A LearnDash Group is associated with a course or list of courses. While the list is known to people purchasing the course(s), and the students who’ve signed up for it, what was missing was a visual association of the linked courses and the group. With the latest version of the plugin, the LearnDash admin has an option to enable the course list view on the group registration page. The admin can select a particular group and then enable this option to allow users on the frontend to view the list of courses associated with the group! A simple change, but quite effective and integral to our efforts to ease user experience. But wait! We aren’t done yet! This update squashes some bugs related to enrolling students to a course associated with a variable product. And, this version also makes LearnDash Group Registration compatible with the latest versions of LearnDash, WooCommerce, Easy Digital Downloads, and the needed integration plugins. This is the easy part. 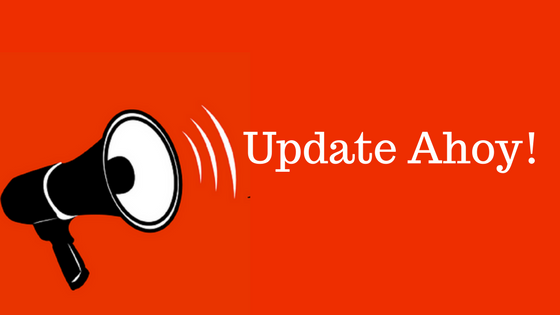 All you have to do is download the latest version of the LearnDash Group Registration plugin and hit update. You should see the new features and have a smooth functioning, best-in-class group management plugin for LearnDash at your disposal. Looking forward to your feedback about this new update! And watch this space for more such plugin news. Until next time, adios!